As with past editions of the Pegasus World Cup, Saturday’s Grade 1, $9 million race at Gulfstream Park looks to be between two horses exiting strong performances on Breeders’ Cup weekend. In 2017, we had Arrogate against California Chrome. In 2018, there were Gun Runner and West Coast. And now it’s Accelerate versus City of Light. While the Breeders’ Cup Classic winner went on to also take the lucrative dirt race that followed in January, Horse Racing’s Super Screener handicapping system projects a mild upset in the nine-furlong feature. 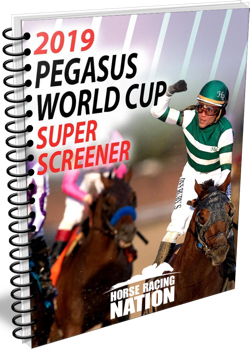 The Super Screener, authored by Mike Shutty, uses data-driven analysis to handicap top stakes races each week throughout the year. What’s available here is a small sample of Shutty’s work evaluating both the dirt race and Pegasus World Cup Turf, in addition to other events coming up this weekend. Both are listed as “A” horses by Shutty, meaning you should include them on your vertical and horizontal wagers. But if you’re playing to win, consider the Breeders’ Cup Dirt Mile winner at 5-2 on the morning line. “This horse submitted the best performance over the Breeders’ Cup weekend, bar none,” Shutty said of City of Light, a Michael McCarthy-trained son of Quality Road. “He cut absolutely brutal fractions and then went on to win easily while doling out strong energy late. 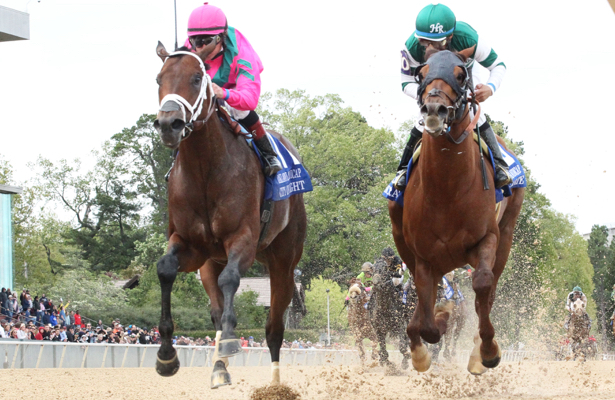 Shutty cited the well-known result last April, when going nine furlongs in the Oaklawn Handicap (G2), City of Light defeated Accelerate, who has appeared strong in mile and a quarter races. City of Light “is a much better horse now,” Shutty argued, hence the “slight nod” over Accelerate as his pick. But choosing which short-priced horse will win the Pegasus isn’t the key to cashing on a race that could have half the 12-horse field go off at 20-1.S Shutty’s specialty is isolating which of those longshot types will fill out the trifecta or superfecta and building wagers around that strategy.